I don't know what kind of tilapia they use, but in our case, we bought some "pink/white tilapia". But first, making the "relish" or salsa. 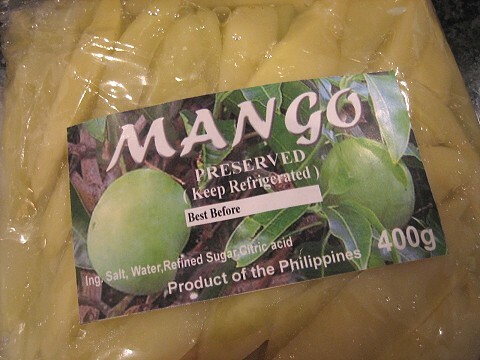 Somebody returned from the Philippines and gave us some pickled mangoes. I drained them (keeping some of the liquid) and diced them. 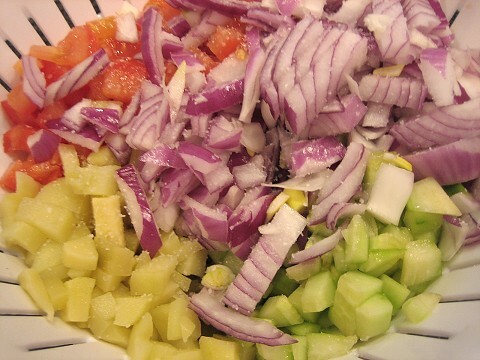 Also diced were tomatoes, red onions and cucumbers. I added a touch of salt and the whole lot drained away in a colander for a little while. I added calamansi juice (that's the deep yellow liquid in the background; see below), soy sauce, some of the pickled mango liquid and I think a touch of vinegar. We can leave that for now and tackle the fish. 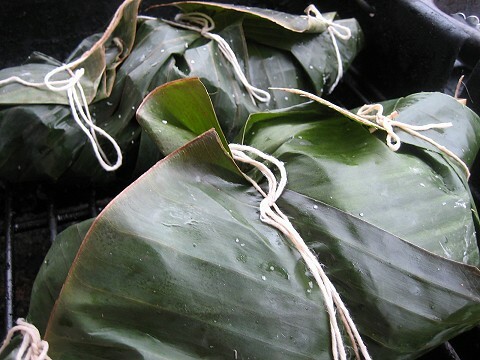 I took some banana leaves out of the package and thawed them. 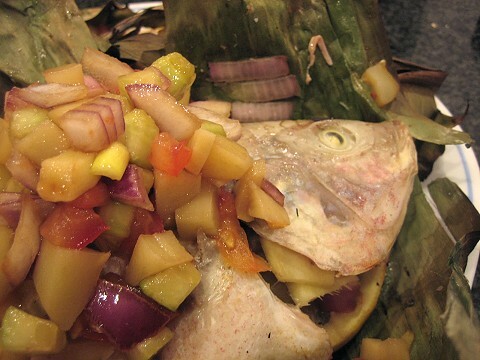 In each banana leaf parcel lay the fish with lemon and ginger slices in the cavity and some pickled mango salsa. Onto the grill they went. We had 2 fishy parcels. 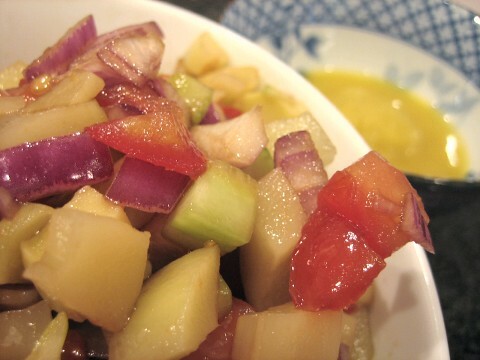 More pickled mango salsa went on top of the fish. All in all, this was OK. I think I would've preferred the fish to have more of the grill flavor. As it was, it was more steamed than anything else. 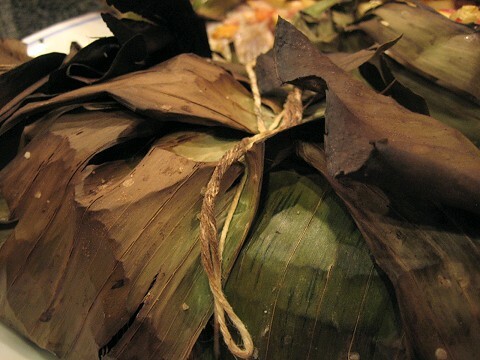 The grilled tilapia at Rekado's actually only had a tube top's worth of banana leaf wrapping (instead of a mummy wrap's worth). I don't think we could've pulled that off, though, since there would've probably been a sticking-to-the-grill problem. Also, I have issues with the fish! It was so weird! Cutting into the flesh, one hit the bones right away! Perhaps it was just a skinny fish? 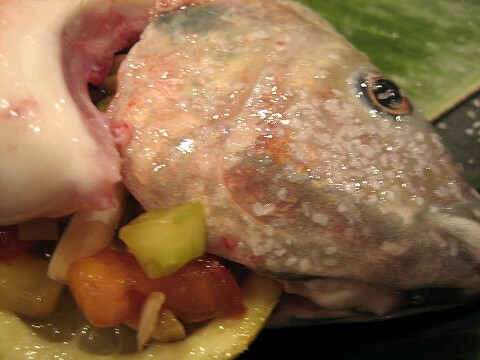 Or maybe this "pink/white" tilapia is different from the other tilapias I've had? That was pretty much the biggest hindrance to my enjoyment of the dish. I'm not sure if there is a T&T Supermarket in North Van. If there isn't, then there's one downtown (near Tinseltown). 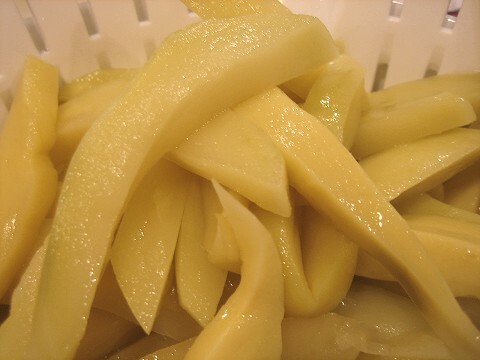 Or perhaps try a Chinese/Asian supermarket in North Van; or even a Filipino grocery store, if there's one. 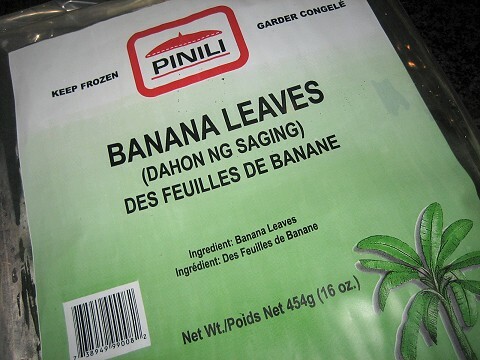 The banana leaves usually come frozen, so check the freezer section. Good luck!